What is the Parish Retreat? 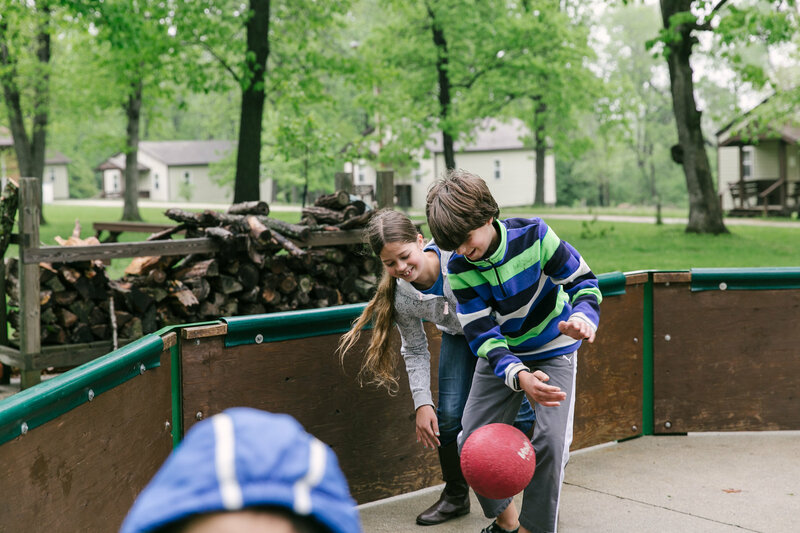 The Parish Retreat is hands-down the best way to kick off your summer. 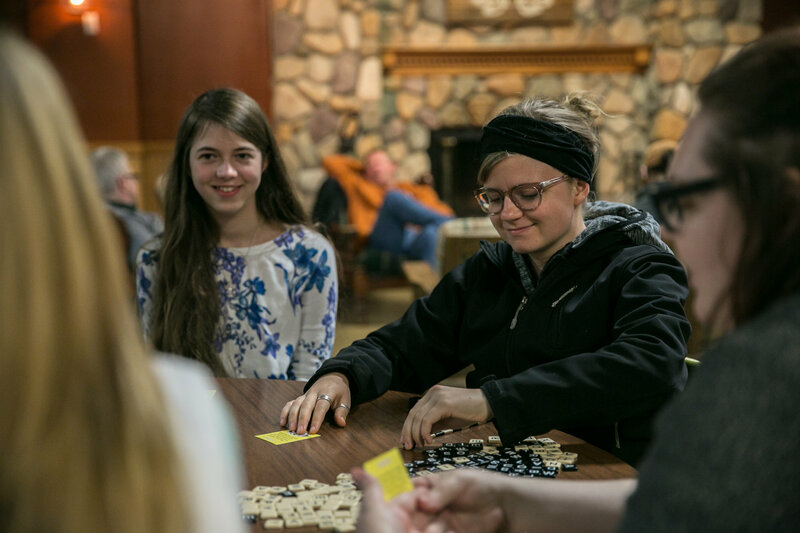 Come away with your Immanuel family to rest, eat together, play games, converse on the porch, receive practical teachings about the Christian life, and simply get away from the clutter and hurry of the city for a weekend. Whether you’re an urban diva or nature-starved outdoorsman, this retreat is for you. 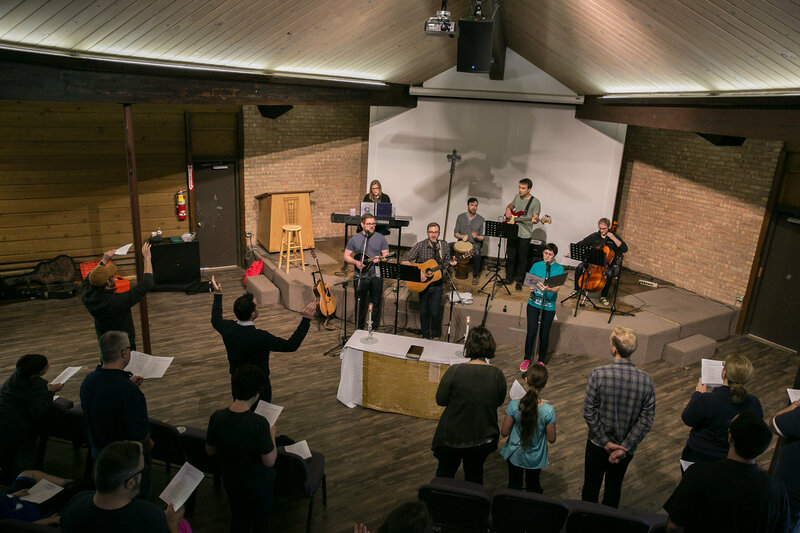 Whether you have been at Immanuel for three years or just began visiting last Sunday, this retreat is for you! 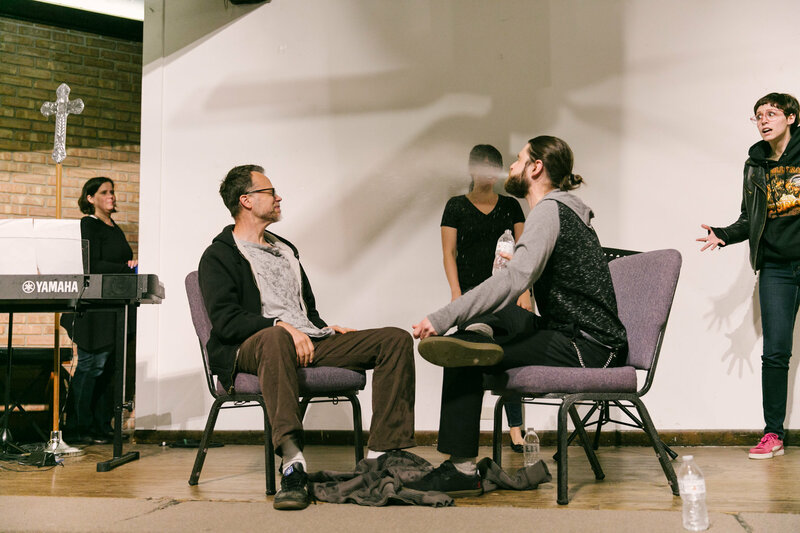 If you have any fun-loving bone in your body, this retreat is for you! If you have any need for rest and refreshment, that’s right, this retreat is for you! If you need more reason than that, ask around – or read some testimonials below! My relationship with Immanuel really shifted at my first parish retreat. I had been toying with the idea of committing to the church, but the retreat felt like getting over a hump, as I experienced genuine welcome from church leaders who knew my name, spent free time in conversation and activities with others, and got to know people I hadn’t ever talked to before. I was nervous about going to my first Parish Retreat because I felt like I didn’t know anybody. It turns out the retreat was the perfect way to fix that problem! Interacting with my church family in a low key setting while kicking around a soccer ball or playing cards was easy. It was great to spend quality time getting to know other people in a comfortable and beautiful setting. 5 – 7PM | Check in at Chapel (if you haven’t already) to receive room assignment and weekend packet. 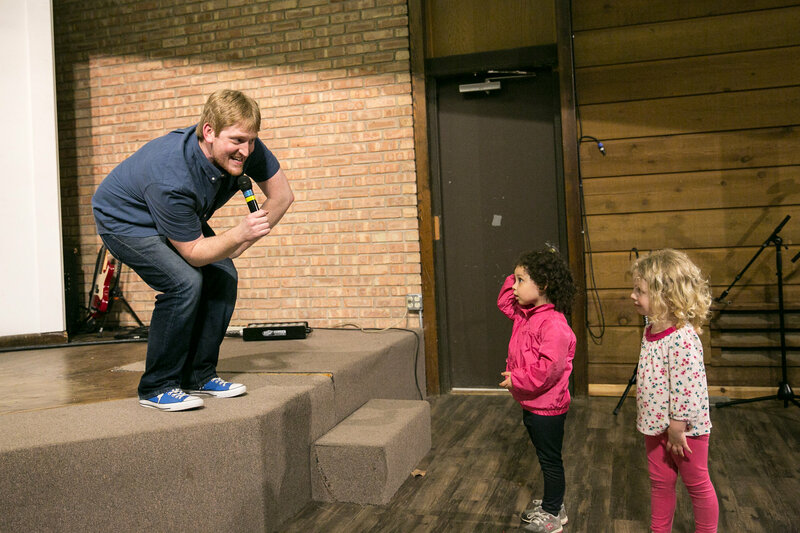 The Parish Retreat was the place where my family started forming real, lasting friendships with people at Immanuel. 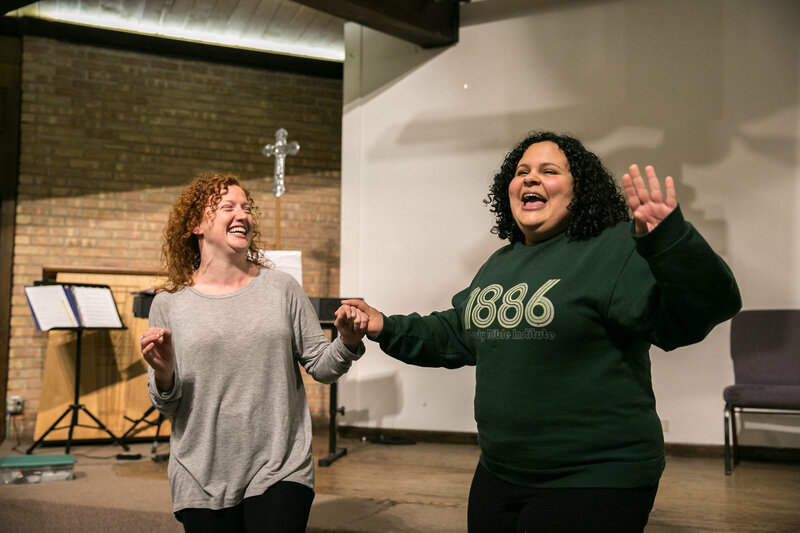 On the retreat, there is time to be at leisure with one another and space to connect, play, pray, and worship together. Camp Hickory is a true ‘thin place’ for me. 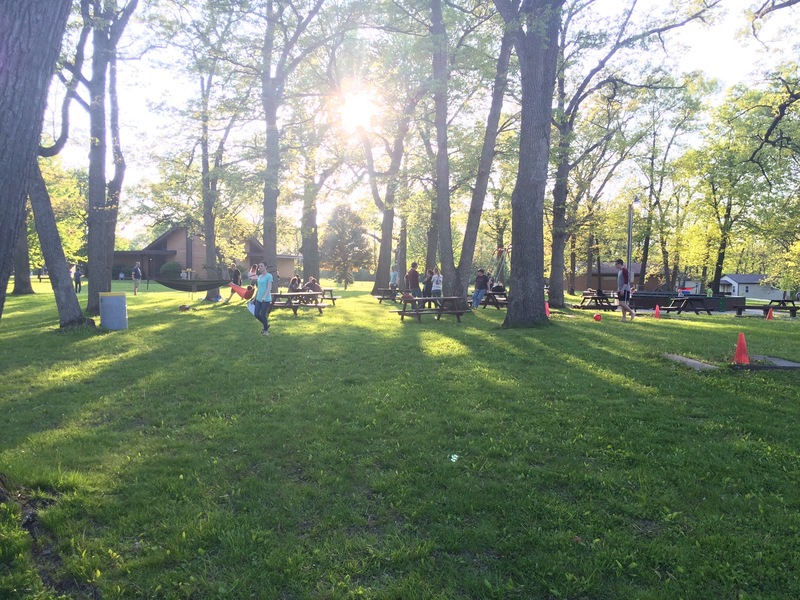 I can’t imagine missing the retreat… our family has been looking forward to it all year! David W.
After attending 3 full parish retreats, I can confidently say it is SO worth the risk and investment to go! Each retreat has offered ample opportunity for refreshing rest, good conversation, new friends, and great fun. Each year has further solidified Immanuel as my home, my body, my family. Charissa M.
Friday, May 31 until noon on Sunday, June 2. Carpooling coordination will be available. Indicate on your registration if you need a ride or have space in your car. If you get lost, Camp Hickory’s number is (815) 823-6929. Full Weekend: Cost is $100/adult (18+); $50/child aged 5-17; free for children ages 4 and under. Full or partial scholarships are available upon request. Attending Saturday only? A Saturday-only day-pass is $55/adult; $30/child aged 5-17; children ages 4 and under are free. Email Jennifer Wood with any questions: jennifer@immanuelanglican.org.